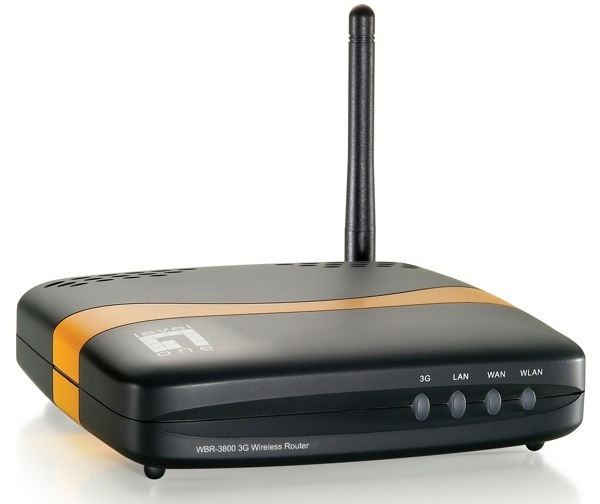 It’s now a tad easier to share a 3G connection thanks to the LevelOne MobilSpot Portable Wireless HotSpot. All the router requires is either a USB or Card Bus datacard and off it goes, sharing the EV-DO or HSDPA stream over Wi-Fi or out through Ethernet. It’s that easy, folks. LevelOne has also configured the router to work as a standard home router that’s compatible with broadband access, but when the data stream drops from the wired connection, the 3G will kick in as backup. The router seems to be of standard size and doesn’t sport a battery connection so the portable part of the product name seems a bit dubious. However, that doesn’t take away from the fact that this is a nifty device and could be a lifesaver for certain tech bloggers whose Comcast connection drops every time it rains. *Cough* me *Cough* The $150 price seems about right, but a Wi-Fi Draft-N flavor would be nice too.